The ideology behind this development was outdoor/indoor living. Based in Brynna woodlands, the houses were surrounded by greenery, light and nature. Aimed towards commuters with families, wanting to spend time away from the city. The original kitchen plans for this development were disproportionate. After discussions, it was decided an open plan approach was most advantageous. Expanding the kitchen and bringing it into the heart of the home was key, ensuring a good flow between the kitchen, living and dining areas. A cleverly designed, cantilevered breakfast bar enhanced the contemporary feel and shadow gaps were incorporated into the design, to highlight the clean lines. 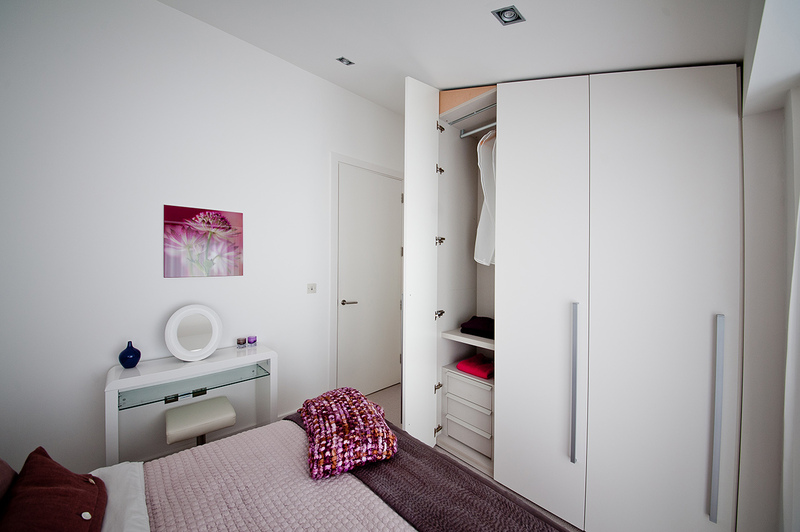 Maximising natural light was achieved by choosing white as the principal colour. 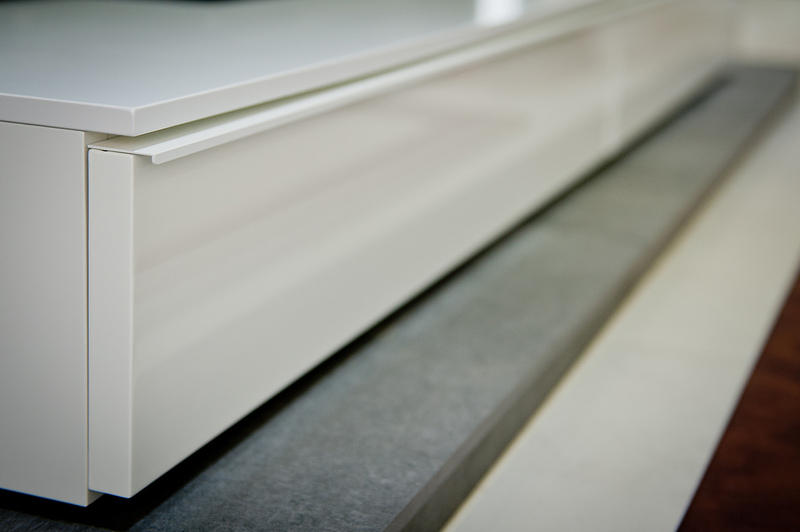 A contemporary integrated handle along with contrasting Silestone tops finished the scheme. 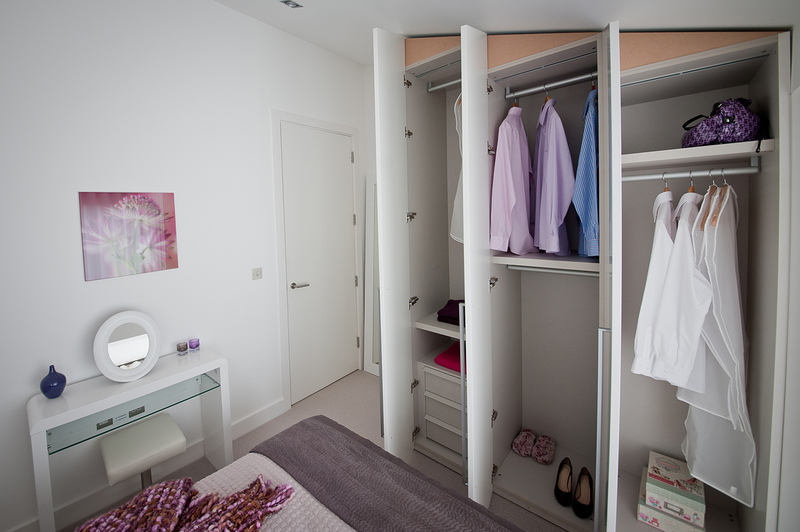 The homes also included fitted wardrobes, in a variety of different setups, comprising of sloping wardrobes, walk-in wardrobes and sliding doors. A palette of grey and white with a mixture of matt and high gloss finishes, complimented the modern feel, whilst keeping the rooms open and spacious, maximising the natural daylight.